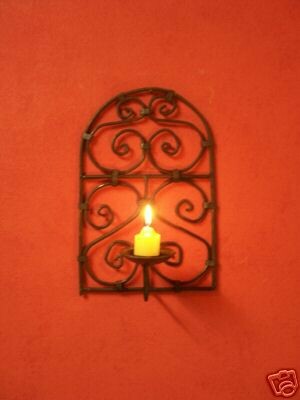 Oriental candle holders for the wall, made of wrought iron, with an Mediterranean flair. 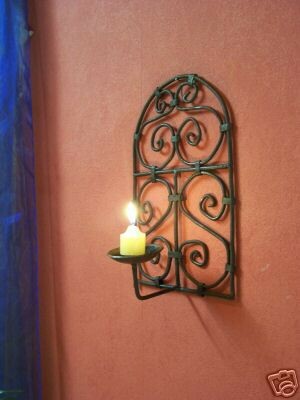 Turn a blank wall into a masterpiece with this candle holder Babnour. 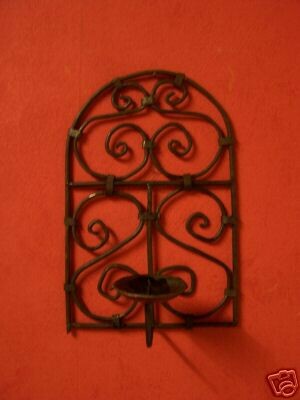 These handcrafted, forged iron candle holders have a lot of charm and guarantee a comfortable and atmospheric ambiance. They have not only the Oriental, Mediterranean style or the country house style as a special feature, but they also harmonize with every furnishing style. 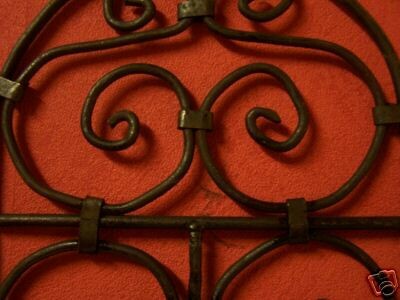 Oriental wrought iron fascinates with its robust and appealing form. These are decorative and ritual objects which you cannot find everywhere.